WE ARE BACK! New Year, New Cocktail Club! We have been inundated with questions about our next Cocktail Club, so you asked and we listened! 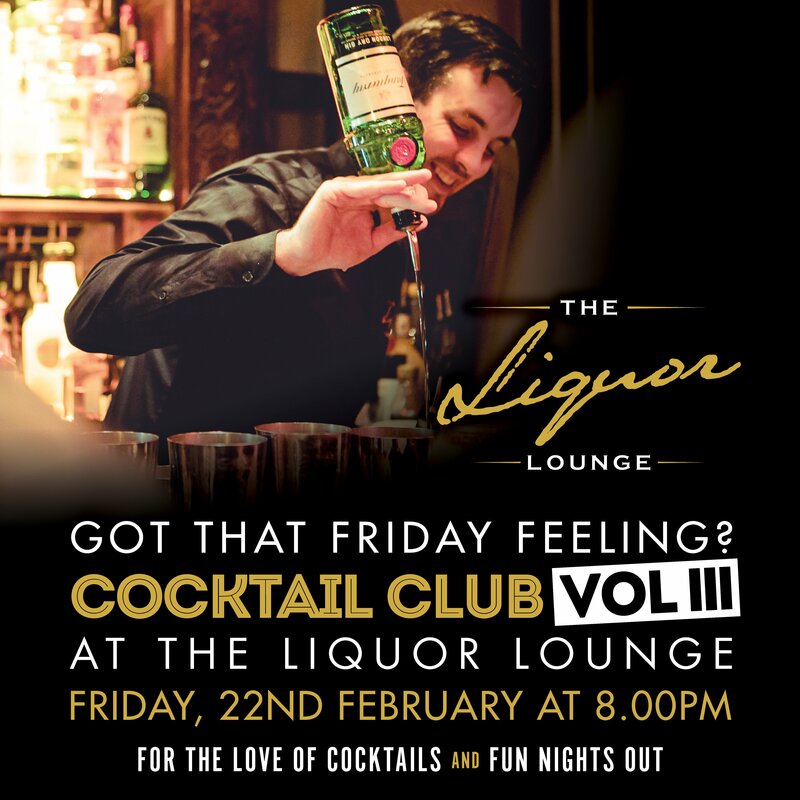 The Liquor Lounge Cocktail Club Vol III, returns at 8pm on Friday 22nd February. If for some reason you haven’t heard about our Cocktail Clubs, let us fill you in.. Think Friday nights, sitting at the bar with your friends, DJ playing in the background, cocktail making, sampling a selection of drinks, industry tips, prizes, and treats! Our cocktail expert Darragh will be there on the night to get the party started, shaking up cocktails, getting involved and generally having a bit of craic! Sound like your kind of night out? We thought so! Then make sure you book into our next Cocktail Club. We always like to have some surprises in store so make sure to keep an eye out on social media 😉. Spaces fill up fast so make sure to plan ahead and reserve your place now. Want to join us? Please pre-book your tickets on Eventbrite or call (091) 563 777 for any queries. Looking forward to our first Cocktail Club of 2019!